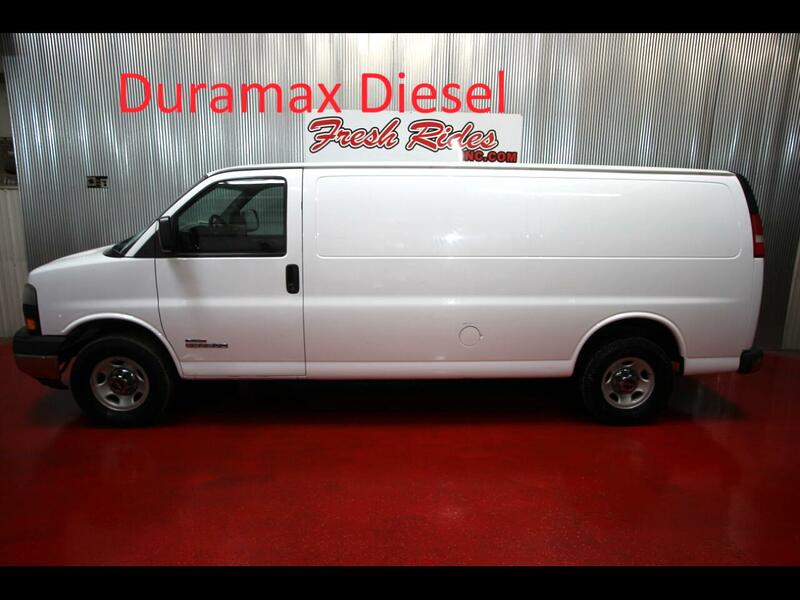 Used 2006 GMC Savana Cargo Van RWD 3500 155" for Sale in Evans CO 80620 Fresh Rides Inc.
2006 GMC Savana Cargo Van RWD 3500 155"
CHECK OUT THIS DIESEL DURAMAX 2006 GMC SAVANA CARGO VAN 3500!! 2006 GMC Savana 3500HD Cargo Van RWD, 6.6L Duramax Vortec V8, Automatic Transmission, AM/FM Stereo, Power Steering, Cage Divider, Storage Shelves, Ladder Rack, 223,024 Miles. Come down to Fresh Rides and talk to our staff about how you can drive this pickup home today! Be sure to ask about our FRESH START GUARANTEED CREDIT APPROVAL PROGRAM W.A.D! We understand your time is Valuable. We will do our best to offer a quick, and painless buying experience. Message: Thought you might be interested in this 2006 GMC Savana Cargo Van.